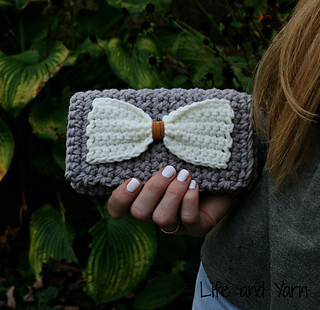 Basic Crochet Skills needed : This clutch is made using basic crochet stitches (sc, ss, ) in American Standard Terms. I have included multiple photos to match up with the written directions. 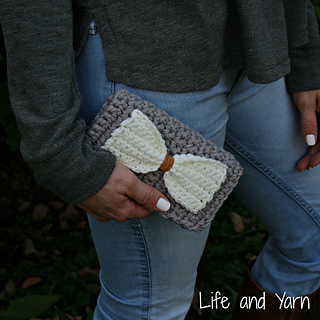 Throughout the pattern are many helpful tips, tricks, and suggestions. I have put them in blue to help you from loosing your place in the pattern. This pattern is laid out in columns, with tons of room for you to make notes as you go! The columns also make it super easy to read from your phone as well! Life and Yarn Designs on Etsy, (IG: @life.and.yarn) for the pattern used. You may not alter, share, sell this pattern in any way. It is for personal use, with the exception to sell items you have created from it. PLEASE take your own stock photos of items you have made. 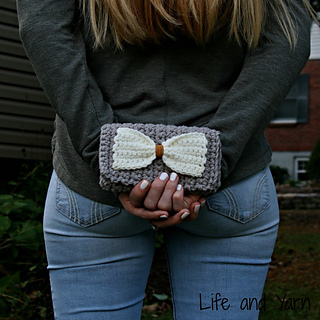 This little clutch is perfect for just about ANYTHING! Just have to run into the store quick? Perfect for your credit card, ID, some cash and a chapstick. 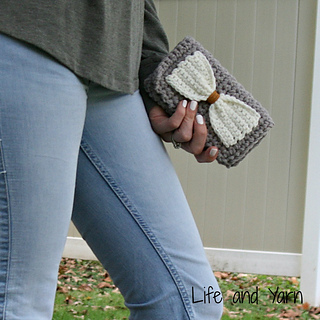 Are you a crafter like me? 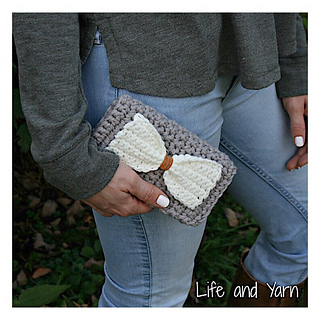 It’s perfect for your on the go projects. Put your yarn needle, a crochet hook, some stitch markers, and of course a chapstick. All you need right there. How about a wedding gift for your bridesmaids? Just big enough for the necessities on the Big Day! They’re also a great gift for those special little girls in your life. Who doesn’t like to play dress up? This little clutch is your anything goes clutch. ….but maybe you want one a bit bigger! It is SUPER easy to adjust it up and down for whatever size you need! Awesome right?! Clutch measures approximately 4” x 7” when the patter is followed properly.